It’s the time of year when we look forward, making special memories with family and friends, taking in the lights and decorations, planning a holiday excursion (check our Best Local Events column for all the fun things to do this month) and … shopping. To make it easier for you, we’ve compiled a guide to shops offering something for everyone and, to make a day of it, restaurants where you can rejuvenate with a beverage, a meal, some apps with friends … a breather so you can check your list twice. For our part, we wish you the Happiest of Holidays and, as always to our readers and advertisers, our most heartfelt thank you. Happy New Year! 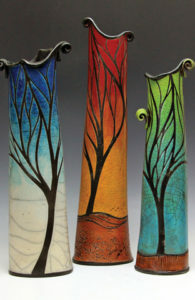 The perfect gift awaits those on your list at the Brandywine River Museum of Art. Shop the unique selection of gifts inspired by art and nature, including notecards and art reproductions featuring the iconic works of the Wyeth family, handcrafted jewelry, exclusive silk scarves and accessories, toys for children, a unique selection of books and more. Don’t miss the annual Critter Sale, November 29–December 2. 1 Hoffman’s Mill Rd. 610-388-2700; Brandywine.org. raiser for the Hounds Foundation, a 501(c)3 organization. TheHoundsFoundation.org. 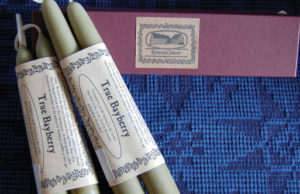 Have you been looking for real Bayberry Candles? Take a scenic drive out Route 322 West to Ephrata Cloister Museum Store. In addition to beautiful candles, you’ll discover a world of unique gifts. Choose from their selection of local cookbooks, linen greeting cards, handmade soap, redware ornaments, treenware, table runners, prints and more. 632 West Main St. 717-733-2592; EphrataCloister.org. Appetites on Main, located in Main Street at Exton, offers casual American comfort food at a good value. It’s a great place to stop and relax during the busy holiday season. Happy hour daily, 4 to 6 p.m., includes $2.50 select domestics, $1 off all appetizers, craft beer and cocktails. Open daily, 11 a.m. to 2 a.m., full menu until 1:30 a.m. 286 Main St. 610-594-2030; AppetitesOnMain.com. Deck the halls this holiday season with 18th-century through Victorian-era original and reproduction furniture, lighting fixtures and furniture hardware. 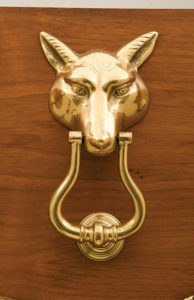 Visit the showroom at to find unique gift ideas including candlesticks, bookends, lanterns and fireplace accessories made on the premises in brass, tin, copper and hand-forged iron and bronze. All perfect gifts this holiday season. Open Monday–Friday, from 8 to 4:30; Saturday hours, October–March, 9 to 1. 463 W. Lincoln Hwy. (Rt. 30). 610-363-7300; BallAndBall.com. There’s no place like Ron’s Original Bar & Grille this holiday season! Come and indulge in some “Real Food, for the Health of it.” Offering a family atmosphere, Italian fare, live music and some of the best craft beer around, they invite you to stop in for a bite, enjoy some take-out or delivery, or call them to cater your next event! 74 E. Uwchlan Ave. 610-594-9900; RonsOriginal.com. Celebrate the season with Old World elegance at Vickers Restaurant + The Plantation Ballroom. Sip champagne fireside in the refurbished 1820s farmhouse and enjoy dishes like Steak Diane and Bananas Foster, flambéed tableside. Four private dining rooms are perfect for holiday celebrations. Open for lunch, dinner and happy hour and on Christmas Eve and New Years Eve. Gift certificates available online. 192 E. Welsh Pool Rd. Phone or see the website for hours. 610-363-7998; VickersRestaurant.com. Using only the finest and freshest ingredients, highlighting the northern region of Italy, La Verona is committed to making your meal a memorable one, with professional service in a welcoming, vibrant, social atmosphere. They have a private dining area for parties up to 65, and they invite you to join them for Happy Hour, Monday–Friday, 4 to 6. 114 E. State St. 610-444-2244; LaVeronaPA.com. Drawing fans in Kennett since 2011 is Lily’s Asian Cuisine, Sushi & Grill. This stylish, modern Asian restaurant serves Japanese, Chinese and Thai dishes and insists on high quality food, freshly prepared with the finest ingredients. Meet friends for lunch, have dinner with family, or come for a celebration. All-you-can-eat sushi on Tuesday, with hot starters. Enjoy the comfortable ambience, delicious food and excellent service in Lily’s. BYOB. 104 W. State St. 610-925-3700; LilySushiAndGrill.com. Paradocx Vineyard, a 100-acre farm nestled among the rolling hills of southern Chester County, combines current technology and handcrafted secrets to create unique wines from estate grapes and selected growers. By selecting only the finest fruit, they are able to provide their winemaker, Gabriel Rubilar, with the best start for a premium wine. Paradocx Vineyard offers four retail locations: 1833 Flint Hill Rd., Landenberg, The Market at Liberty Place, Westtown Amish Market, and Booths Corner Farmers Market. 610-255-5684; Paradocx.com. The holidays can be a hectic time of year. Let Tonino’s Pizza & Pasta Co. take care of your party planning needs with custom party platters for family get-togethers or office parties. Everything from delicious antipasti to homemade classic pasta dishes and Italian favorites. Tonino’s now offers private party rooms. Call to plan your holiday festivities today. Gift certificates available. 610-240-9566; ToninosPizzaAndPasta.com. This holiday season, why not introduce some creativity, art, innovation and fun to your gift-giving? Visit the Merchant of Menace Re-Imaginers Gallery and check the whimsical and inventive items that will delight everyone! Their artists see possibilities everywhere and create amazing works from a variety of reclaimed materials. Find furniture crafted from New England barn wood, animal sculptures made from antique tractor parts, jewelry created from silverware and much more! 1351 W. Strasburg Rd. 215-704-7419; TheMerchantOfMenace.net. Gourmet gift baskets and luscious fine chocolates are two reasons to stop at Christopher Chocolates, making life sweeter for more than 30 years as a family-owned and operated business. They have a great selection of gourmet foods, candies, sugar-free items and fine chocolates for a customized gift basket to delight all on your list. Open daily from Thanksgiving to Christmas. 3519 West Chester Pk. (Rt. 3). 610-359-1669; Christopher-Chocolates.com. Get your Christmas plants and flowers at Mostardi Nursery. Featuring distinctive plants for every season, Mostardi offers a selection that will have your home looking greener and even better than last Christmas. The Christmas Shop features trees, wreaths, poinsettias, garden accents, ornaments and accessories. Mostardi is dedicated to providing avid gardeners and homeowners with plants for every season and every reason. 4033 West Chester Pk. (Rt. 3). 610-356-8035; Mostardi.com. This holiday season, Walter J. Cook Jeweler has curated a fresh collection of unique gems designed to fit many styles and price points. Owner Michael Cook has selected exquisite diamonds, one-of-a-kind colored gemstones and both classic and contemporary pearls. Wonderful gold items as well as mixed metal artisan jewels help complete this year’s collection. Chestnut Village Shoppes, 36 Chestnut Rd. 610-644-5347; WalterJCookJeweler.com. Tavola Restaurant + Bar offers upscale casual dining serving American cuisine, brick oven classics and contemporary menu selections with seasonal ingredients. Newly designed indoor dining room, heated outdoor bar and lounge, golf course views, fire pits and private party rooms; great for drinks and dining year-round. DJs and live, local acoustic music weekly and nightly specials. Serving lunch, dinner and Sunday Brunch. 400 W. Sproul Rd. 610-543-2100; Tavolas.com. Make it a handcrafted holiday. Community Arts Center and the Potters Guild present their Holiday Sale, featuring functional and decorative ceramic, mixed media, fiber art, jewelry, papier-maché, flowers, wood, soaps, baskets, metal and holiday décor from over 60 artists, Nov. 29–Dec. 8. Special shopping events include a preview party and holiday happy hours. 414 Plush Mill Rd. 610-566-1713; CACHolidaySale.org. To add sparkle to the holidays, visit the Ultimate Jewelry Store—Big Diamond Importers & Fine Jewelry, specializing in Ideal Cut Diamonds, engagement rings and wedding bands at wholesale prices. See their big and unique engagement rings and fashion jewelry collection for 2019. Italian and Spanish designer jewelry is available in all price ranges. They are also a full-service jeweler, including in-house repair, custom design and appraisals. 15 W. Gay St. 610-692-7707; BigsDiamonds.com. Since 1933, the Jane Chalfant shop has provided casual fashions in a friendly atmosphere. Today, Jane Chalfant / Kiki Boutique features sweaters, pants and jackets for your everyday lifestyle. Everyone is pleasantly surprised by the size of the shop, which enables them to carry a great selection including fun, fashion accessories. It’s worth the trip! Free parking behind the shop at 123 N. High St. 610-696-0290; JaneChalfant.com. You’ll find fresh, handcrafted beers, creative New American cuisine and friendly and attentive service at Iron Hill Brewery. Their beers have won national and international acclaim for over 20 years. They’re open 7 days, for lunch and dinner, with Happy Hour Mon.–Fri., 5 to 7. Buy $75 in gift cards from Black Friday through December 31 and receive a $20 bonus card. 3 W. Gay St. 610-738-9600; IronHillBrewery.com. Landmark Americana Tap & Grill is the spot to have your holiday get-togethers, offering a large private room with full bar perfect for any party. Or, take time from your hectic schedule and stop in for a wide variety of burgers, tacos, finger foods or healthy and gluten-free options. 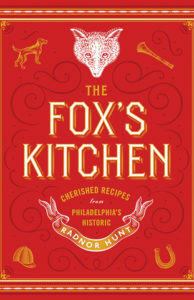 Open Mon.–Sun., 11 a.m. to 2 a.m. 158 W. Gay St. 610-701-9900; LandmarkAmericana.com. Stop by The Lincoln Room and enjoy a quiet lunch or a cozy tea for two (or more) in the lower level of the circa 1833 Lincoln Building. Select from the extensive menu of holiday or specialty teas, sweet and savory scones, quiche specialties and leave room for their signature dessert—Croissant Bread Pudding with crème Anglaise. BYOB. Private parties, Sunday–Tuesday; lunch and Tea offered Wednesday–Saturday from 11 to 3. Reservations suggested. 28 Market St. 610-304-9576. Looking for a fun and unique place to host your holiday party or next private event? Look no further than Más Mexicali Cantina. Family owned and operated since 2009, Más has been hosting private events for 20–500 people for years. From buffet style to intimate sit-down dinners, Más’ award winning menu and exceptional customer service is sure to exceed your expectations! 102 E. Market St. 610-918-6260; MasMexicali.com. Visit Matlack Florist for all your holiday needs. Centerpieces and fresh flower arrangements make a great holiday gift. 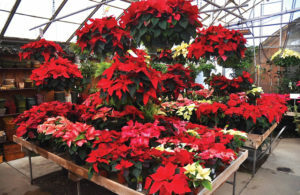 The Greenhouse is bursting with poinsettias, Noble Trees and Holiday Garden Baskets. Fruit and Gourmet Baskets with local items are sure to please. Stop by the gift shop for a wonderful selection of home décor items, accessories and holiday giftware. Same-day local delivery is always available. 210 N. Chester Rd. 610-431-3077; MatlackFlorist.com. Looking for the perfect gift for the men in your life? Check out Phineas Gage, located in downtown West Chester for a great assortment of men’s contemporary clothing and accessories. They carry everything from outerwear, sweaters, wovens, denim to socks, belts and wallets. Let them help you pick the perfect gift to outfit your man from head to toe! 29 S. High St. 484-266-7344; Phineas-Gage.com. Pietro’s Prime is an upscale yet casual Steakhouse and Martini Bar located in the heart of downtown West Chester. They are known for their quality cuisine and remarkable service. Whether your celebrating a milestone event or just looking for a delicious meal, Pietro’s Prime is the place to go. 125 Market St. 484-760-6100; PietrosPrime.com. With a focus on craft beer, whiskey and quality food, Rams Head Bar and Grill is the perfect place to visit this winter. Try out their new menu items, or book your holiday parties in their spacious lower level. Visit the amazing bar staff for happy hour every weekday from 5 to 7 p.m. 40 E. Market St. 484-631-0241; RamsHeadBarAndGrill.com. Finding the perfect gift for that special someone is part of the holidays. Sunset Hill Jewelers & Fine Arts Gallery is ready to help with beautiful jewelry for everyone’s taste and budget along with an Art Gallery filled with miniature paintings of all styles by over 20 area artists. A trusted jeweler in Chester County for over 35 years, they have a kind and knowledgeable staff with years of experience to help you make the perfect choice. 23 N. High St. 610-692-0374; SunsetHillJewelers.com. Touch … Sight … Taste … Smell … Sound … The 5 Senses. You can find something for everyone on your shopping list for any occasion (and something for yourself as well) at this shop. They offer North American and Fair Trade, handmade, functional works of art, from pottery to candles to jewelry and gift art. They also have a large selection of all-occasion cards, gift cards, gift wrapping and shipping. 133 W. Market St. 610-719-0170; The5Senses.com. Dress up your eyelashes this holiday season with luxury eyelash extensions created just for you at Timeless Sage Beauty by Design. Your individual lash application will look and feel natural and flawless. Treat yourself or someone special and visit them at 535 N. Church St. 484-318-8438; TimelessSage.com. For the artsy friends and family members on your shopping list, the Delaware Art Museum is sure to offer something unique just for them. Browse a selection of treasures, including handcrafted jewelry, vases, ceramics, textiles and books in the Museum Store or during the Winter Arts Festival, December 7 and 8. Visit their website to find out more about festive holiday offerings, events and special exhibitions for all ages. 2301 Kentmere Pkwy. 302-571-9590; DelArt.org.